Paper-Ception! ??? That’s what plantable seed paper is. 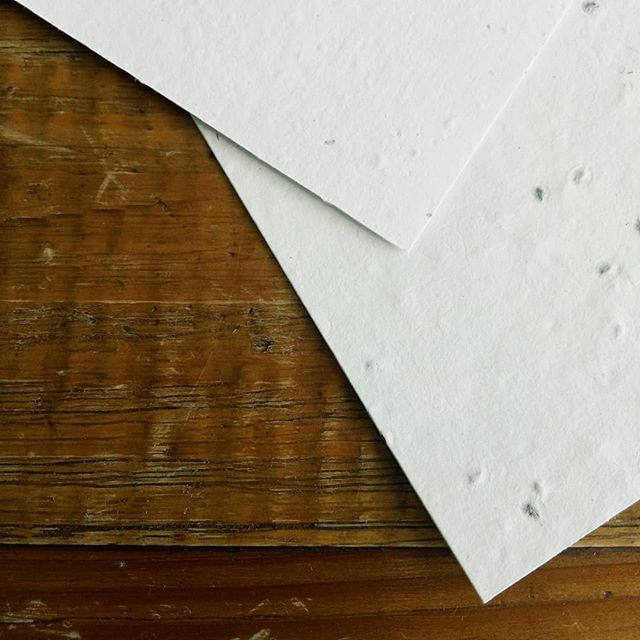 These biodegradable eco-paper are embedded with seeds which makes for an interesting texture. While we wouldn’t recommend putting it through the printer (think falling seeds! ), a good way of incorporating them would be the use of De/Embossing and Stamping. If the paper doesn’t work out for your project, waste none and grow them in soil like you’ll do with normal seeds. Let your work blossom – wildflower or basil style. ?? PS: For Singapore folks, you’ll find them stocked at R.J Paper (@rjpapersg) ! Lime Agency on Instagram: https://ift.tt/2CuUjGT .